Hong Chuan Industrial Co., Ltd., founded in 1995. 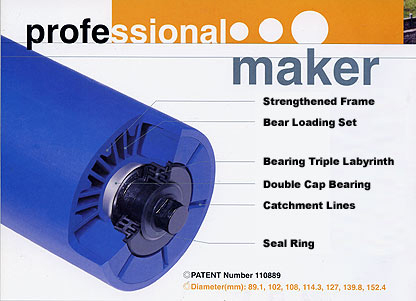 During this time the company has became a highly skilled professional manufacturer of conveyor rollers. 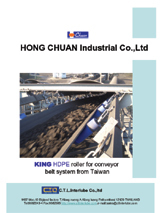 With patience, Dedication and a vast knowledge of the roller industry, we have successfully developed the HDPE system product -- King Roller. With the support and understanding of our loyal customer base, we have been able to design and develop this product to meet the quality standards required by industry all over the world. Hong Chuan's dedicated team of professional staff members, are proud of to be associated with the high quality product they produce, and are constantly striving to improve and satisfy their clients needs. This has ensued long lasting business relationships with our customers both local and overseas.